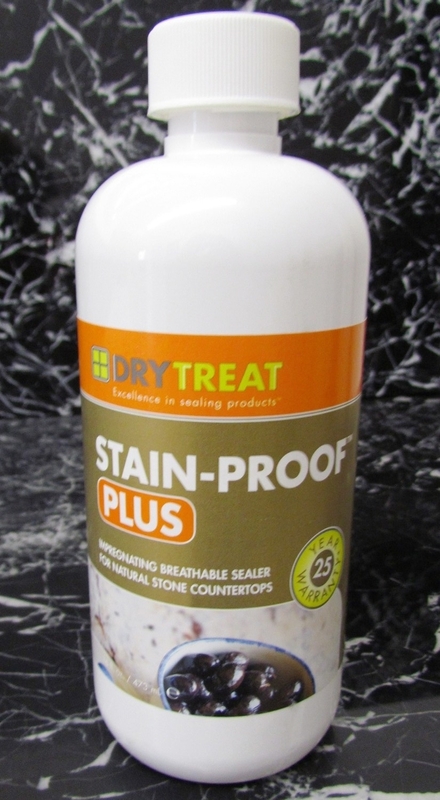 Dry Treat STAIN-PROOF Plus™ is an impregnating, invisible and breathable sealer that protects natural stone benchtops from damage caused by water, salts and oil-based stains. Treated benchtops surfaces become easier to clean, maintain, and keep looking good for longer. STAIN-PROOF Plus™ provides lasting protection for natural stone that comes with a 25 year warranty*. Won't break down in contact with cement based materials, able to seal hairline cracks up to 0.3 mm (0.012 in.) and does not flake or peel. Even once impregnated, natural stone still needs to be correctly cared for. Dry-Treat has created a new , a simple guide to caring for natural stone benchtop which can be printed off and given to customers.